Great Fidelity Life Insurance Company is an insurance provider established in 1952 in the state of Indiana. 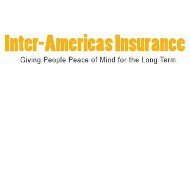 It is now a wholly owned subsidiary of American Underwriters Life Insurance Company; America Underwriters is part of a larger insurance group operating under the name Inter-Americas Insurance Corporation, Inc. Between all of the companies in the Inter-Americas group they provide a wide range of services including life insurance, annuities, and a specialized insurance products. Being online means you have access to health insurance quotes from providers over the country – enter your zip code to get started. Great Fidelity mainly focuses on what is known as blanket occupational coverage. This type of insurance is similar to Worker’s Compensation coverage but is a little better. It provides all of the same protections and coverages as a standard workers comp, but at a better price. Such policies are sold to businesses that need to provide the necessary coverage required by their state. In addition, Great Fidelity also writes some standard life policies and annuities. Great Fidelity does not offer standard health insurance per se. Instead, their blanket occupational policies cover areas like accidental death and dismemberment, disability income, and medical costs for work-related accidents. It is intended to be a supplemental policy that works in conjunction with your primary health insurance. It is a policy that provides coverage only after primary health insurance has been exhausted. It also has other restrictions attached to it. Although this type of insurance does not seem to be of much value at first glance, anyone who has suffered a serious illness or accident knows it can be a lifesaver. That is because the benefits of primary health insurance are limited. A serious illness or accident can very quickly exhaust those benefits and leave it the customer paying the rest of the bill. That is where supplemental insurance such as Great Fidelity’s blanket occupational coverage becomes valuable. Because Inter-Americas states that Great Fidelity is a domiciled in Indiana we must assume that the office referenced in the Texas and Iowa insurance records is accurate. We searched for a list of addresses in Fort Wayne but were unsuccessful. Should that office still be in operation you could inquire about it using the contact information listed above. Other than the possibility of Fort Wayne office, it would appear that Great Fidelity has no other locations. Great Fidelity does not maintain its own web presence. Therefore, it is not possible to get an online quote directly from them. Due to the nature of the type of insurance they provide, it is likely that the only possibility for getting a quote is to call them on the phone. It is possible that third-party life insurance quote websites have access to Great Fidelity information. If so, using one of these third party sites may return a Great Fidelity quote when searching. Great Fidelity’s claims service has two components. The first component is handling the claims of its own customers, either directly or through one of their subsidiaries. A claim would be initiated by contacting either a local agent or the subsidiary in question. From there the process would be typical of the industry including filling out forms, verifying information, and paying the claim. The second component is a claims adjudication service Inter-Americas offers to its subsidiaries and other insurance companies. For claims, adjudication Inter-Americas utilizes a state-of-the-art computer system to process claims for all of its clients. It works very similar to a payroll service, except that its focus is on insurance products. Claims adjudication is a service that is especially helpful in the medical insurance field. Local agents supply Great Fidelity with representation in the marketplace. Agents represent multiple companies, including Great Fidelity, in order to provide the best service and largest number of options to clients. The corporate website does not offer an agent locator tool, so you will have to contact Inter-Americas or search your local yellow pages in order to find one. They do offer a section on their website dedicated to their agents as a means of helping them to fulfill their function efficiently and property. If you have a few minutes, why not enter your ZIP code below to see health insurance quotes online?